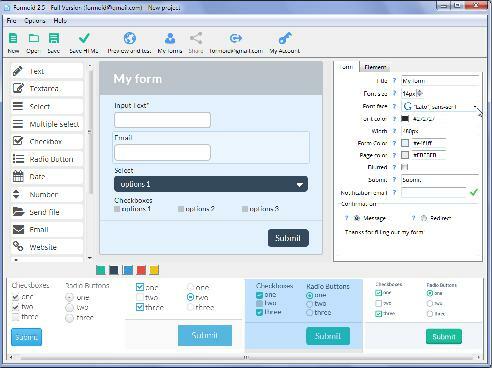 Formoid is a free desktop app that helps you easily create jquery forms, jquery popup form, html email form, bootstrap form and more in a few seconds without writing a single line of code. Create fancy online forms in just a few clicks. Q: Can we translate this message to Turkish: formoid popup message in English , "Report Abuse", "please enter a valid email adress" something like that. Is there any lang file? A: You can edit the hint messages in the generated .js file (for example, formoid-default-skyblue.js). In this case you should use your own server. Hi, I have found your form online and am very impressed however ive run into two issues. I'm using Joomla on a linux server with php v5.